hi guys and girls, im cutting things last min a bit. Ok ALOT! 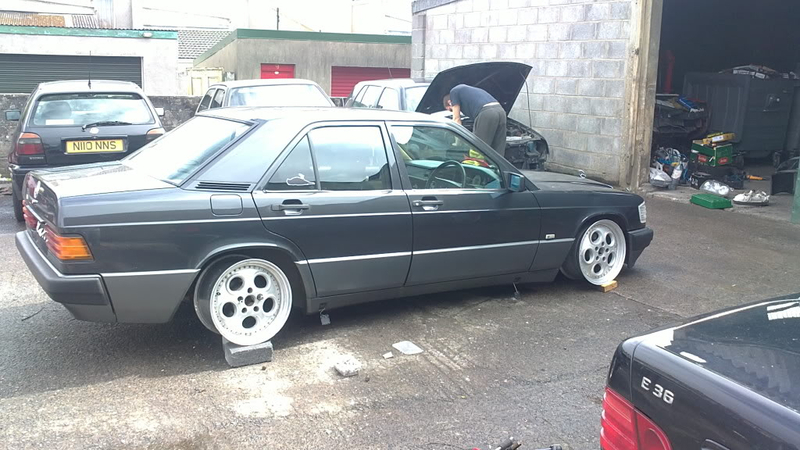 Wheels have just been finished and am in a rush to get them on in time for the E38! Tyres I need are 195/40/17 and 205/40/17. Looking at having Flaken 912's as i have them on the car currently and like them. I can get them fitted on thursday night without too much hassle so long as they are delivered to me / my work by thursday day time. Does anyone know where i can get some and that can gaurentee delivery? Last min.com at its finest. And a cheeky photo of the wheels on the car pre-refurb. theres more people down south and mid wales there, they may know of some! if not try camskill aye!